Lock in a great price for Woodsmoke Resort and Spa – rated 8.2 by recent guests! Nice bed. Property has potential to be great, but too many drawbacks. The Rooms are big and clean, the view at the mountains from the rooms or anywhere in the resort is breathtaking, there are good spots to capture the sunset, the food was great. Amazing place. Nice location. Amazing food. Family friendly. Great view from most rooms. The library, the snooker room and the carrom room are separate, so that's a good thing. Access to the place from the highway is easy. Lovely location, beautiful property, tastefully done rooms, huge balcony to enjoy the location to the fullest. Courteous and smiling staff. It was a perfect balance to find peaceful solace yet approach the main city in 30mins. More suitable for travelers traveling by car. Woodsmoke Resort and Spa This rating is a reflection of how the property compares to the industry standard when it comes to price, facilities and services available. It's based on a self-evaluation by the property. Use this rating to help choose your stay! 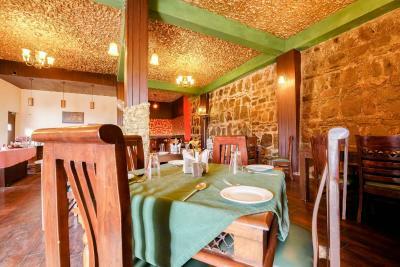 Woodsmoke Resort and Spa offers accommodations in Shimla. 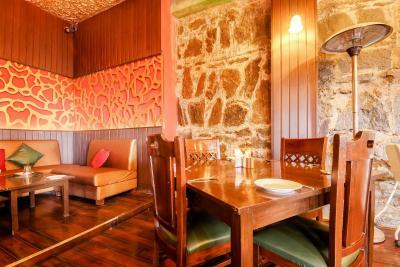 There is a games room on site and guests can enjoy the on-site restaurant. Free WiFi is featured throughout the property and free private parking is available on site. The rooms are fitted with a flat-screen TV. Certain units feature a seating area to relax in after a busy day. Certain rooms have views of the mountains or garden. Each room is fitted with a private bathroom. Extras include slippers and free toiletries. 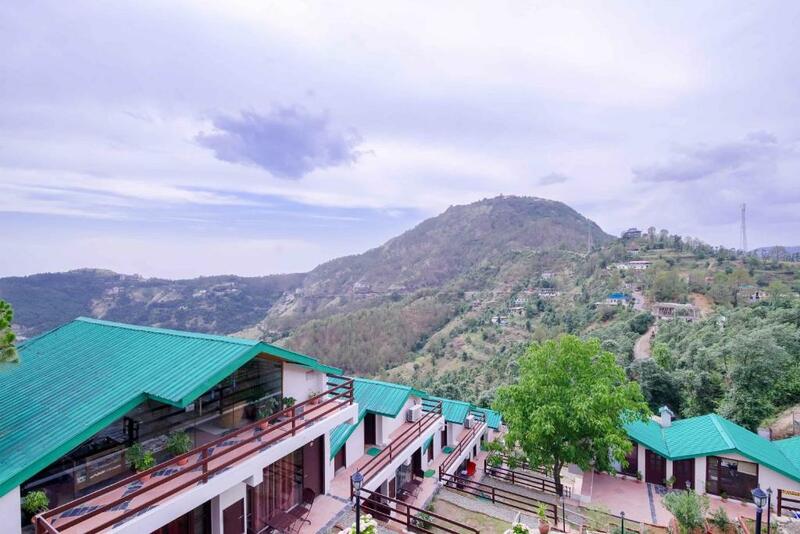 Car rental is available at this resort and the area is popular for biking. The Mall Road is 8.1 mi from Woodsmoke Resort and Spa, and Victory Tunnel is 7.5 mi away. Chandigarh Airport is 65 mi from the property. When would you like to stay at Woodsmoke Resort and Spa? The accommodations will provide you with a flat-screen satellite TV and a mini-bar. There is also an electric kettle. Featuring a shower, private bathroom also comes with a hairdryer and free toiletries. You can enjoy mountain view from the room. The large accommodations will provide you with a flat-screen satellite TV and a mini-bar. There is also an electric kettle. Featuring a shower, private bathroom also comes with a hairdryer and free toiletries. You can enjoy mountain view from the room. House Rules Woodsmoke Resort and Spa takes special requests – add in the next step! Woodsmoke Resort and Spa accepts these cards and reserves the right to temporarily hold an amount prior to arrival. Food quality was not consistent. Breakfast was good, but some dishes in other meals were bad! The kitchen ran out of yellow lentils, which is the one of two lentil options on the menu. This was shocking for us. The bath room size and quality in one of our two rooms was small and average respectively. Staff and size of rooms. Weak WiFi. Tiny bathroom and shower. No hot water. Untrained staff (gave me the wifi password after three calls, night watchman belligerent and unhelpful). Terrible breakfast (not included in stay). Bit far from Simla centre if you plan to go more than once. Food quality is awesome but over expensive. Much expensive than a five star hotel. there weren't any activities in the resort unlike toher resorts that has zip lines, trekking, a guide to the green valley. Also the resort was expensive in comparison to it's look and feel. And there was no complimentary breakfast in that kind of money, 10,600 is a lot with no breakfast and activities. the view from the balcony was nice.